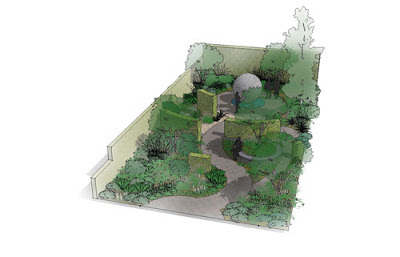 Cleve West is one of the UK’s leading contemporary landscape designers. A five time Royal Horticulture Society gold medal winner, West has contributed to Gardens Illustrated Magazine, and currently writes a weekly column for the Independent as The Urban Gardener. I had the opportunity to meet Cleve West and the one thing that struck me was, he is a designer who follows his own path throughout all his artistic endeavours. I hope this interview offers insight to West’s contribution, beyond the garden. Christian Barnard – Urban food cultivation is currently experiencing a much deserved surge in popularity and awareness. You have been highly involved in the promotion and pursuit of this movement. Where do you see the practice of urban food cultivation heading in the future? 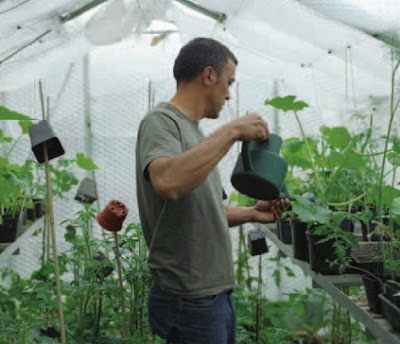 Cleve West – When I first took on an allotment on the outskirts of London, some eight years ago, there were no waiting lists and for the next two years the council encouraged me to take on neighbouring plots. Now everyone wants one! Not only are there waiting lists, but the council are now asking plotholders for ideas on how to free up space for new allotment holders. Some think this is a round about way of saying “can we have the plots back please?” The rumour is causing quite a stir and most plotholders, including me, will be very reluctant to give up plots we have worked so hard on especially as many people see allotments through rose tinted specs. The reality is a lot of hard work (at least 10 hours a week for 10 rods) which most newcomers aren’t prepared for and the initial burst of enthusiasm soon wears thin when faced with weeds that re-grow and a whole host of creatures that want a share of the spoils. But as peak oil looms and we continue to become more aware of the positive effects of thinking more locally it stands to reason that the urban food movement is not a passing fad. The UK is short of space when it comes to allocating land for new allotments so it may well need a mini revolution in how we use our gardens. If I had to build my garden again and didn’t have an allotment I would seriously consider turning the whole garden over to vegetables. People who aren’t interested in gardening or are unable to garden might soon think about sharing their land in order to let those without space to grow food. I’m pleased to see that Hugh Fearnley-Whittingstall is championing ‘Landshare’ (www.landshare.net) as it helps owners who would otherwise struggle to look after their gardens. This I suspect will become more popular once people get over their privacy hang-ups and will lead to some interesting projects and a strengthening of community values. Gardeners are quite a resourceful lot especially faced with a challenge! The Plot – a year at Cleve’s allotment Published in Gardens Illustrated from March 2006 to Feb 2007. 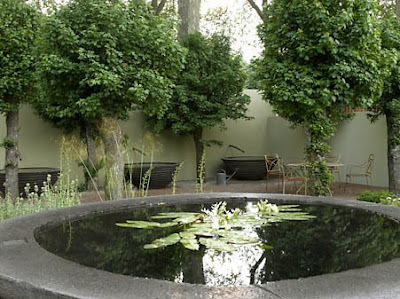 Christian Barnard – You have been designing show gardens since 1994 and accumulated five RHS Gold Medals. You have also been active as an RHS Judge for quite some time now. What changes have you seen in show gardens over the past 15 years? How have the issues of our changing environment affected the shows and designers work? 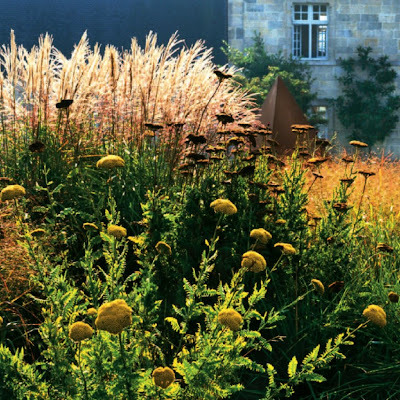 Cleve West – I came to garden design at an exciting time when experimentation and throwing caution to the wind really did push the boundaries of how we perceive our gardens. Of course there were a lot of gardens that didn’t work through perfunctory use of the so-called ‘new’ materials such as glass, steel etc but it’s also possible to create a contemporary garden using ‘traditional’ materials. My first ever show garden in 1994 was an organic garden. All plants had been grown organically and 90% of materials were reclaimed. 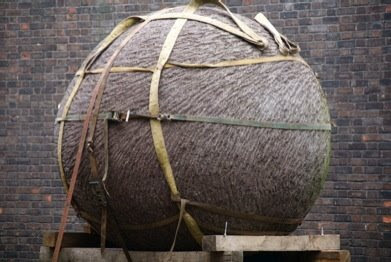 Today there is even more concern for the environment (a good thing obviously) but reclaimed materials are becoming increasingly scarce so often there’s a dilemma when creating a new garden in terms of environmental impact. Some show gardens reflect our concerns for climate change (eg planting drought tolerant species) but one gets the feeling no one really knows which way things are going to pan out. The very notion of a show garden is perceived by some as wasteful so I’m pleased that the last two of my show gardens have been rebuilt. I think this may become increasingly popular and a cost effective way of getting even more publicity for sponsors. 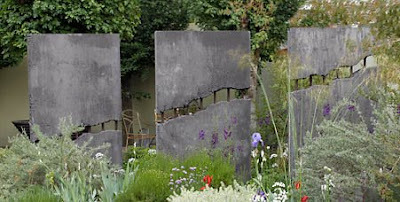 The best thing is that the quality of garden design at the Chelsea Flower Show has increased markedly and, while there will always be a nod to traditional gardens (a waste of time and resources in my book but it keeps visitors happy apparently), contemporary design has at last been embraced by a wider audience. West’s 2008 RHS Chelsea Flower and Garden Show Gold Medal Bupa Garden.His efforts were dually recognized as the Bupa garden achieved the coveted BBC/RHS People’s Choice Award. The Bupa Garden, which showcased the organisation’s promise to celebrate individuality and recognises the needs of those with dementia, achieved the highest seal of approval from show judges. Cleve West has proved that a garden can be both pleasing to the eye as well as practical and stimulating. Christian Barnard – Who do you consider your mentors and how have they impacted your work? Cleve West – I am fortunate to have had John Brookes as my tutor and mentor. His work was a big early influence. Since then I’ve never set out to emulate another designer’s style. There are many other designers that I admire but like most designers I think architecture, landscape and the client are the biggest influences on a project. Japanese gardens have been influential for their sensitivity to space and the landscape but I’ve no intention of ever building one. Good quality sculpture (there is so much tat out there it’s unbelievable) is really inspiring and lately I’ve had the good fortune to work with French artists Serge and Agnes Bottagisio-Decoux at the Chelsea Flower Show and now with a private client. Working with such talented people is extremely rewarding. 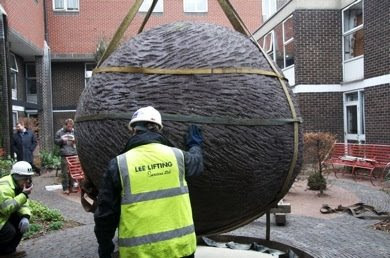 The Bupa Garden has now been installed at its new home, Meadbank Care Home in Battersea. 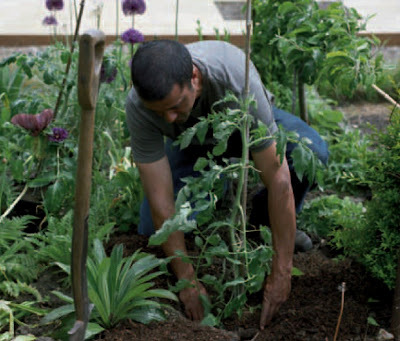 Christian Barnard – With climate change, local food security and the respect for green space gaining influence, what is the garden designer’s role in pioneering these changes and improving our quality of life? Cleve West – I used to think that garden design was an indulgent occupation/luxury that didn’t contribute much to the global good. It may still be so in some cases but our current concern for the global effect of the activities of homo sapiens has made many of us in the landscape industry scrutinize the way we go about our work. We are faced with new challenges in terms of responsible, sustainable and innovative stewardship but designers are well-placed to inspire positive influences on the environment and communities. Of course the practice of gardening itself, from ornamental creations to growing food is incredibly life-affirming reminding us that the simple things in life are often the best things to strive for in order to enhance well-being. They’re also relatively cheap. 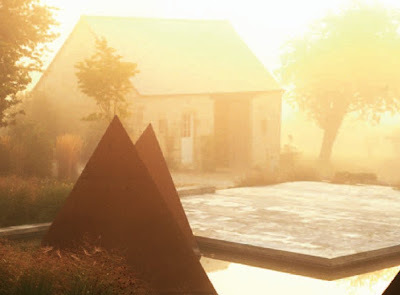 Christian Barnard – What landscape design projects rank among your favorites? Why do they stand out? Cleve West – My favourite is for a private client in Normandy (not open to the public). It has sculpture by Johnny Woodford and some steel pyramids made by a local ironmonger literally a couple of miles a way from the site. It looks after itself mostly with robust perennials and trees doing most of the work. 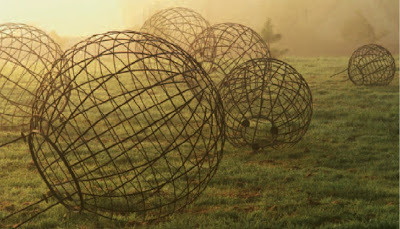 A new client in the same region is looking for a similar dynamic but using sculpture by Serge and Agnes Bottagisio-Decoux. 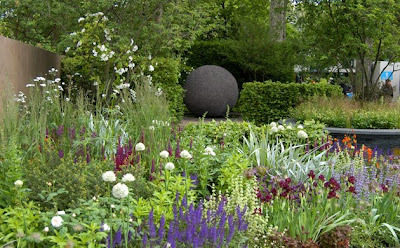 Closer to home, I was fortunate to have a Chelsea show garden re-built at the sponsor’s (Saga) HQ in Folkstone. It is my favourite garden in the UK. Cleve West – To try and ascertain exactly what the client wants from the garden and whether it will be something they will nurture when it’s finished. It’s disheartening when gardens aren’t loved after being implemented. Thereafter to see how adventurous the client might be. I’m not very good with replications; a garden for me has to have its own identity and a touch of mystery. Tranquility but with an edge is what I like to strive for. Cleve West – Get good photographs! Christian Barnard – As I become more immersed in my work, I am realizing the value in taking the time to clear my mind and rejuvenate. What do you do to find peace outside of work? 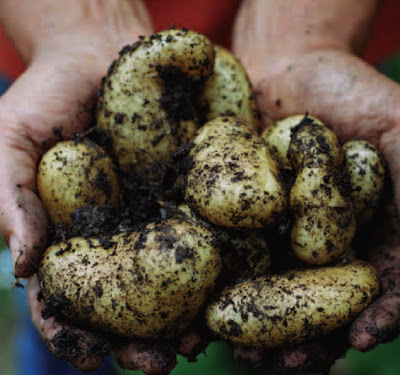 Cleve West – Weirdly enough working at the allotment is my relaxation as design and writing has taken me away from the physical aspect of gardening which is what attracted me to the trade in the first place. Walking, cycling, yoga (have just discovered this and wish that I’d started twenty years ago) and photography are my other diversions. Christian Barnard – You have consistently worked with other artists on many of your projects, how are these professional collaborations important in your work? Cleve West – I’m a frustrated artist so it’s a joy to be able to work with accomplished sculptors. Johnny Woodford was an early collaborator and we enjoyed working together very much. Lately, as I’ve already mentioned, my collaboration with French sculptors, Serge and Agnes Bottagisio-Decoux, has been an enormous source of inspiration. Christian Barnard – What are some of your goals for the future and what can we expect next from Cleve West? Cleve West – My sponsor pulled out of Chelsea for this year due to the recession in the UK so I’ll be concentrating on private work. My new contact in Normandy is a model client in many respects as he is interested in contemporary art and willing to try something new within a very traditional setting. I’m also joining forces with Neil Lucas, (the UK’s best known grass expert at Knoll Gardens) on a few projects. There’s a book on the back-burner and, after having gone out of my way to avoid doing any telly (whether its a mild form of dyslexia or simple stage-fright, it’s accentuated in front of a camera lens), have got an iron in the fire with designers Joe Swift and James Alexander Sinclair. We’re not holding breath but it will be fun if it comes off. Watch this space.